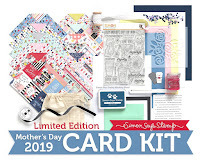 It's Anything Goes week once again, and the Design Team and I are playing with Wild Rose Studio goodies. They make the most adorable stamps, it's hard to choose, but I ended up with some Teddies this time and made 2 cards with them! I decided to use some of my long-hoarded 12" scrapbook papers and thought this flowered one with a gingham reverse would be a good place to start. After making that choice, I colored the image pulling my colors from the paper. The image was first put onto the gingham paper, then I cut a stitched frame using the floral and popped it above the card base. There isn't alot of room for a sentiment, but I think this one works well without taking away from everything else. This will make a perfect card for our granddaughter! For this one I colored and cut out the bears first. Then I die-cut a window into the card front and embossed the front. The inside was layered with the green gingham, and to finish I glued the swing to the top of the window and added the sentiment at the bottom. 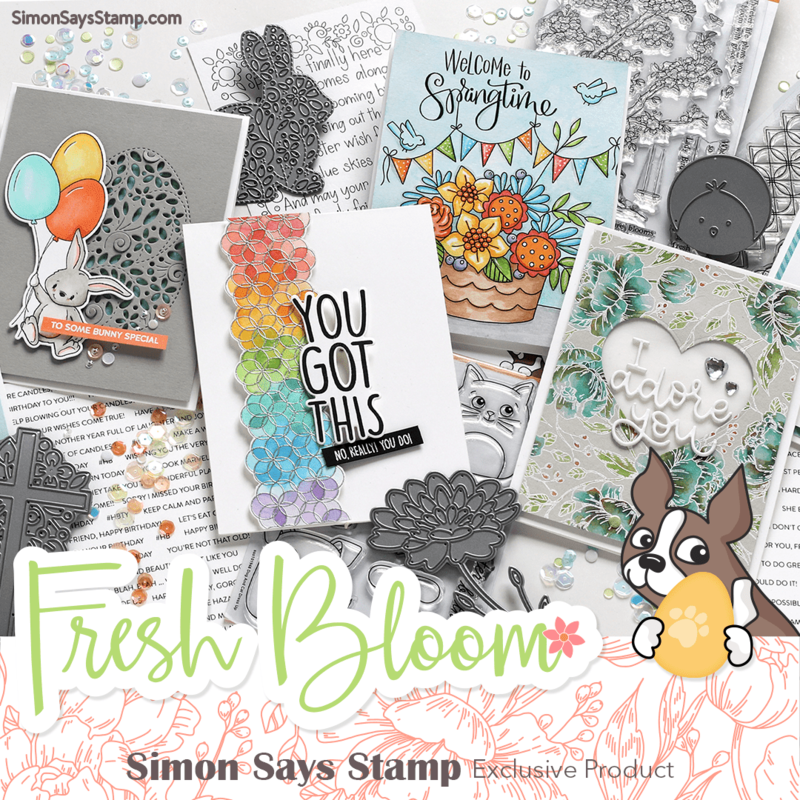 I really liked the Floral Sparkle die from Simon's last Cherished release - it makes me think of eyelet lace. Here's my first play with it. I die-cut the floral sparkle and then the dots die on either side of it, then lined that part of the design with doll pink and green apple cardstock. After stamping my sentiment, I attached that panel to an Audrey Blue base, then added my flower and leaves. Hope your week is off to a great start - we're having some lovely cool weather here at the moment! These little posies may give my beloved Painted Flowers a run for the money - they are easy to color and cut out, and it's fun to arrange them! And Tammy's darling sentiments add just the sweetest touch! I have had the Bamboo Roses on my wishlist forever, and I finally got them! Here's my first play with them, mixed with elements from lots of other companies. I stamped my wooden plank, then overstamped the Dear ruby cling, both in the same ink - it's subtle, but that's the way I wanted it.......The flowers were white embossed, watercolored, and cut out, then arranged to fit around the stamped sentiment. Hope you're enjoying your summer - it's flying by! We're getting some rain here this weekend. I'm back today with a card for Tammy Tutterow's Creative Team Friday post, using one of her stencil sets and 2 of her cling stamps. I used 3 distress oxide inks to stencil the plaid. These stencils come in sets of 2, in this case, a vertical design paired with a horizontal one. They are configured slightly different, so you could easily use just one of them and turn it 90 degrees. They measure 5" X 7", so there's lots of wiggle room to get just what you want. That panel was trimmed to fit inside an A2 white card. Then I die-cut the scalloped rectangle from white card stock, and from that a stitched circle. I stamped one of the absolutely darling Tiny Sentiments on the scalloped panel, and then separately stamped the flowers from a Flower Swag cling. I used the same 3 distress inks, to watercolor the flowers, then selectively cut them out and attached them to my white panel, along with a teensy ribbon. Then the panel was raised above my card base. 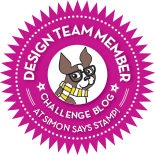 Please visit Tammy's Blog to see what my team-mates have made this week! I've done this star quilt before, but never in pastels. I also used a sheet of Stick It, and it was so much easier to do my paper-piecing that way! I decided to continue the pastel theme in my sentiment by stamping in different colors, with the help of some masking and my Misti. For my next card I'm sharing the birthday card I made for our oldest grandson earlier this year. I'm CASEing a design by Yoonsun - loved her idea! I started by smooshing my distress oxide inks onto my craft sheet and spritzing them liberally with water, then I dragged my bristol paper through each one separately, drying each color before moving on. I also wet a paint brush and flicked on some splatters before I finished. After drying, that panel was die-cut with the Wonky Stitched rectangle. Next I die-cut some stars from that panel, and then added my stamped and die-cut sentiment. The panel was then popped above my white card base, and I popped up the stars, along with a puffy sticker to dot the "i". 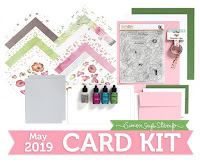 I see that Impression Obsession is having a Summer Colors challenge! I took that as my sign to use these favorite Hollyhock dies! I've always colored these dies, or cut them out of colored cardstock, but this time I decided to make them into a kind of bright silhouette against the warm colors in the background, and I added some fun flower sequins in colors to match! It's been a lovely summer here so far, probably because of the rains we've had - they're keeping everything outside lush and green and also keeping down the humidity! I needed a masculine birthday card soon, and pulled out Tammy's plaid stencils to make it. I'll be featuring these stencils again on Friday, but with a feminine flair - I hope you'll stop by then, too. Have a great week! Yesterday Kelly had an interesting post on "Distress Ink Watercolor Backgrounds on Bristol" and her results were so nice that I got right up and had to try it for myself. Here's my first result, using some old favorite Hero Arts stamps. The only thing I did differently from Kelly was to first stamp and emboss my hydrangea, but I followed her wet on wet technique to add color to it, using just 2 distress ink colors. This sure is an easy way to color up a stamp, and this technique updates this older stamp. Thanks so much for coming by to visit me. Enjoy the rest of your weekend! Here's another card using a splatter stamp, this time a flower one. Since I used warm colors on yesterday's splatter card, I thought I'd use cool ones this time. Violet and teal have become a go-to combination for me this year, and I like it here again. These splatter stamps are fun to play with - there are also ones that feature stars, bats, leaves, butterflies and plain old splatters! It's a little dreary here today, so I made a happy card. I'm in love with Tammy's Tiny Sentiments, and they really aren't that tiny - I'm finding they work for almost any situation. And aren't those heart splatters adorable? 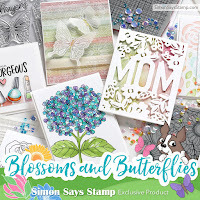 Your Next Stamp also makes them in flowers and stars, butterflies and autumn leaves! I think I need them all - I always hold my breath when I try to splatter ink on my own! This works for Your Next Stamp's Color Challenge #68, so I'm entering it there! Our theme this week is "use plaid"! And the DT are playing with Lawn Fawn Products. You don't have to use Lawn Fawn, but we'd love to see your creations using them if you have any! Both my cards today use Lawn Fawn's plaid papers and some oldie but goodie stamp sets from them. A closer look at the plaids in the butterflies - I stacked a stamped version over 2 die-cut butterflies, 1 solid and the other lacey. The sequins serve a dual purpose: sparkle and a way to hide the glue underneath holding the vellum to the plaid cardstock. My next card uses a sweet plaid in the background, and I pulled its colors to make my flowers. At first I just paper-pieced the centers into the flowers, but everything looked too flat, so I added some buttons for a bit of dimension. I bought the big Wood & Gingham paper pad for the wood planking papers, which I will use as my backgrounds for taking pictures, but the ginghams in it are a lovely bonus! These Painted Flowers were the first Altenew set I bought, and I love and use it just as much now years later! They are easy to line up the layers, and easy to cut out by hand, which I almost always do, but they have matching dies, for those of you who prefer them. Hope these brighten your day! Have a great weekend! 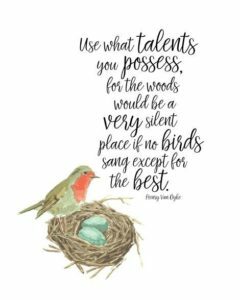 It's time for my card for Tammy's Creative Team Friday post, and today I'm thrilled to be showing you one of her NEW 2-step stencils, made by StencilGirl! 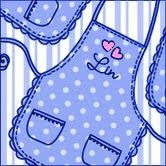 These new stencils are designed to be used in 2 steps and they are SO much fun and easy to use! I chose 3 green distress inks and applied them first through the fern stencil, then through the accompanying leaf stencil. That panel was trimmed with a stitched rectangle, framed with a green cardstock, and affixed to my white card base. I stamped little dots in the white spaces using the same inks. The Happy cutaway was cut from 2 green cardstocks and glued together, offsetting the light one just slightly from the darker one below it. The bird was cut and then sponged with more of the lucky clover ink for definition, and I used mowed lawn to stamp my "birthday" panel. In case you missed it, I used another of Tammy's stencils, a plaid duo, HERE. 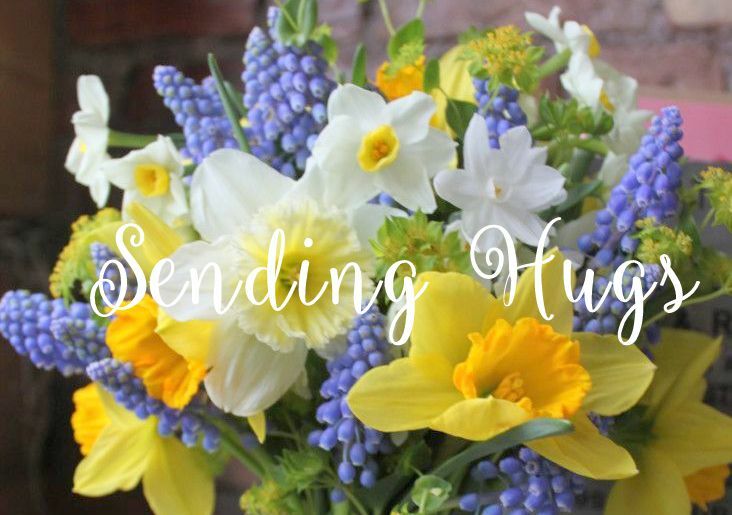 I hope you'll hop on over to Tammy's blog to see what my DT sisters made this time! 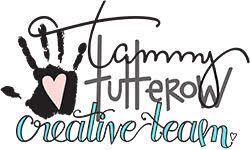 Tammy's products are expanding in all directions, so I know there'll be a lovely variety to see there! I decided today to have another play with my oxide inks and I have a finished card and an almost-finished one to share with you. I smooshed each ink one at a time on my craft sheet, misted with water, and dragged my Bristol paper panel through it, then dried it, sprinkled it with plain water droplets, dried again, and moved on to the next color, doing the same thing. After I got my panel to my liking, it dried well before I attached the stencil and used the glimmer paste through it. When dry, the panel was trimmed to the width of the stencil, framed in cornflower cardstock and attached to my card base. Then I just added my die-cut sentiment (using the last little bit of the oxide panel) and the butterfly. A little caution - pop that stencil into a bin of water as soon as you remove it, and wipe it clean asap.....this glimmer paste is glue, after all, and will leave a residue if you don't attend to it quickly. Here's another variation, using more colors.......it reminds me of a summer garden or a vibrant sunset! And I'm so glad I got this beautiful Flourish stencil! This time I sponged areas of each ink onto Bristol paper, then spritzed it with water and let it blend a bit. I also splattered big droplets of broken china on it and sponged broken china through the stencil, then added the glimmer paste. In this photo, the glimmer paste looks blue and green, but in real life, it adds a golden glitz to each of the colors. I think I may try adding black accents to this one........what do you think? Which is your favorite? I hope you'll come back tomorrow - I'll have another use of stencils then, 2-step ones! 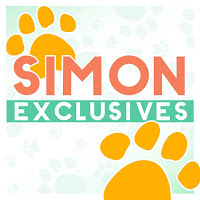 Our theme this week is "Summer Sunshine" and my teamies and I are playing with Simon exclusive products. I used printed design papers to stamp my flower and cut my sentiment. I added a little orange marker shading to the yellow gingham flower and surrounded the center with some sequins in coppers, oranges, and golds. If you consider the floral motif above to be a feminine card, then I think this next one would be considered a masculine one. I die-cut the board paper first, then sponged on distress inks to simulate sky, water, and sand. Next I die-cut the sun and sailboat out of the background, and then inlaid them back in. To finish, I used just the sentiment section of the Hello Sunshine Frame.